From over 600 varieties of Italian figs comes one that shines above the rest. The White Dottato Fig from Cilento is marvelous. Why is it marvelous? Let Antonio from Santomiele Farm break down for you the 2 natural characteristics of this fig that make it taste so good (watch the video, below). They are so good in fact, that the EU has legally recognized their quality as something special. As we mentioned in our recent post about EV olive oil, we are major naysayers when it comes to purchasing decisions based on packaging. But we do love the packing of Santomiele’s figs. We love it, not because Martha Stewart thinks it is beautiful enough for her Fall Wedding Flower Arrangements, but because it is traditional. 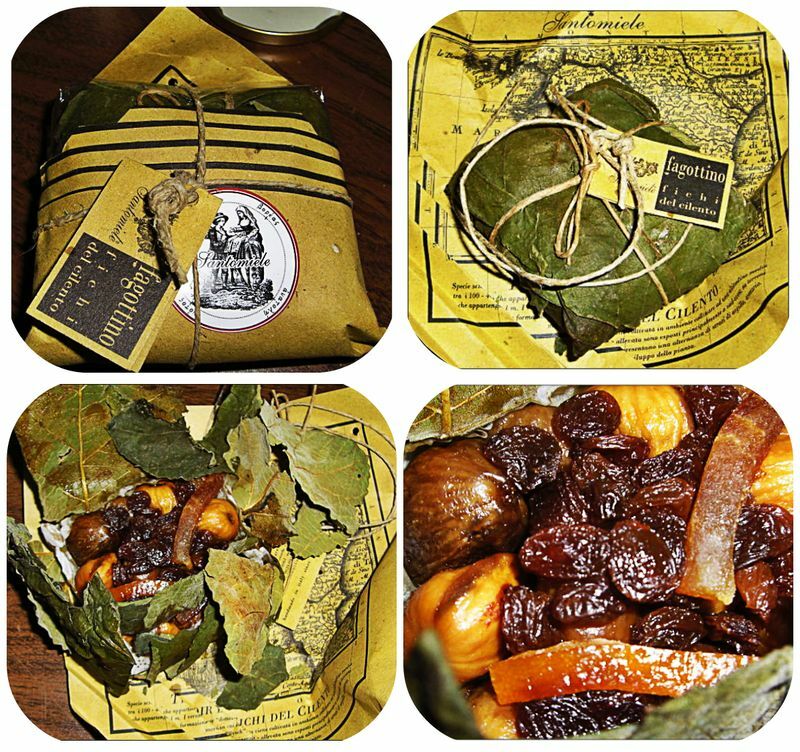 The dried figs are wrapped in their own leaves. Sustainable packaging at its best. Oramai da anni abbiamo deciso di farci rappresentare in America da “Gustiamo”, in quanto crediamo che un prodotto italiano di eccellenza come “I Fichi Bianchi del Cilento” possano essere rappresentati solo da chi ama, conosce e seleziona i migliori prodotti della propria terra: Beatrice Ughi. Grazie a Beatrice, oggi il “Fagottino”, uno dei prodotti più antichi legati alla storia dell’uomo (la frutta conservata nelle foglie e melassa di fichi), è richiesto e apprezzato in tutto il mondo, dalla America al Giappone.